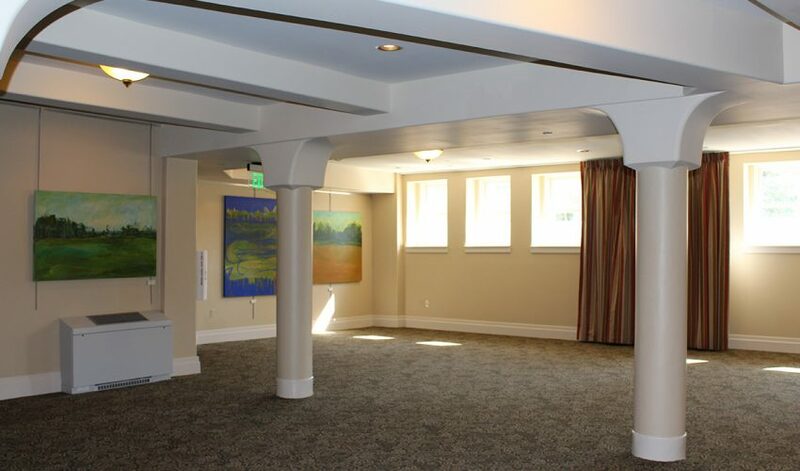 Ideal for cocktail receptions, dinners, meetings, and gallery exhibits. 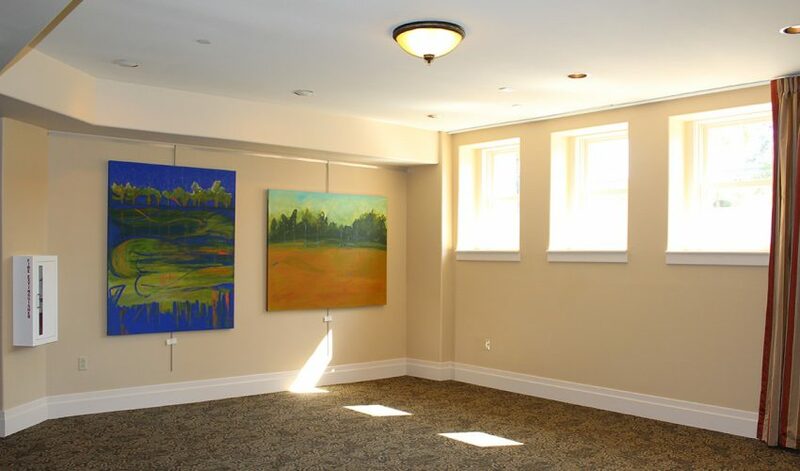 The Gallery on the lower level of Indiana Landmarks Center can be subdivided by a sound wall. 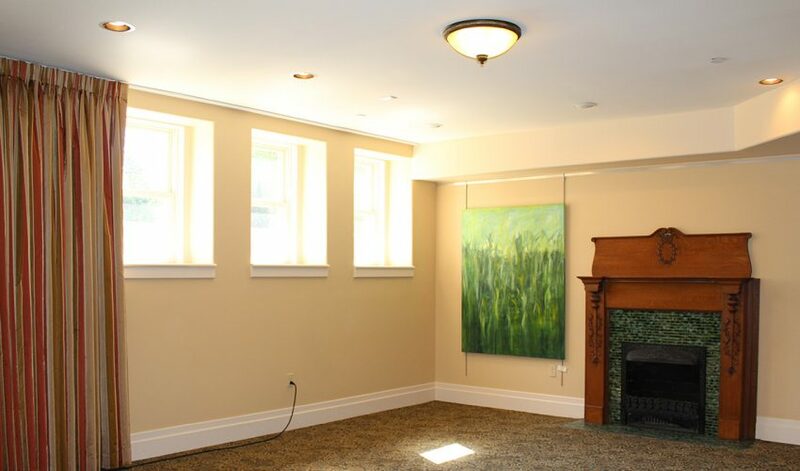 The appearance is enhanced by an original fireplace and draped windows on the south wall. 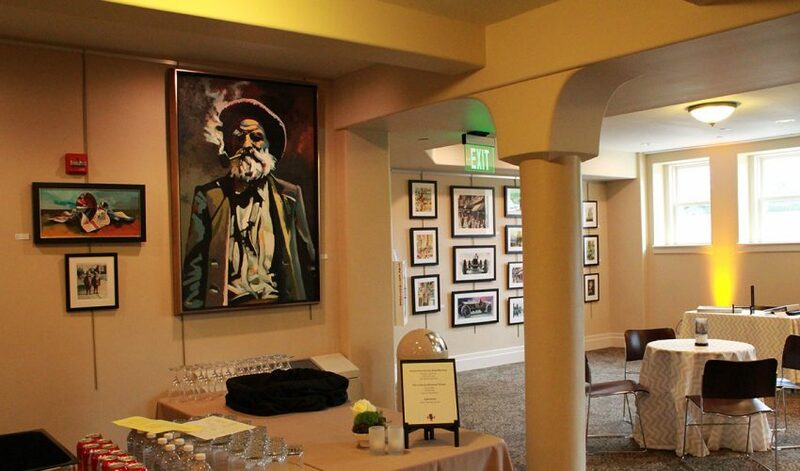 For receptions, the gallery provides an atmosphere surrounded by art. The venue is available for private exhibitions. Download the floorplan. Indiana Landmarks is proud to be part of the Indianapolis First Friday Art Tour, which features the work of local artists and artisans at galleries throughout the city. 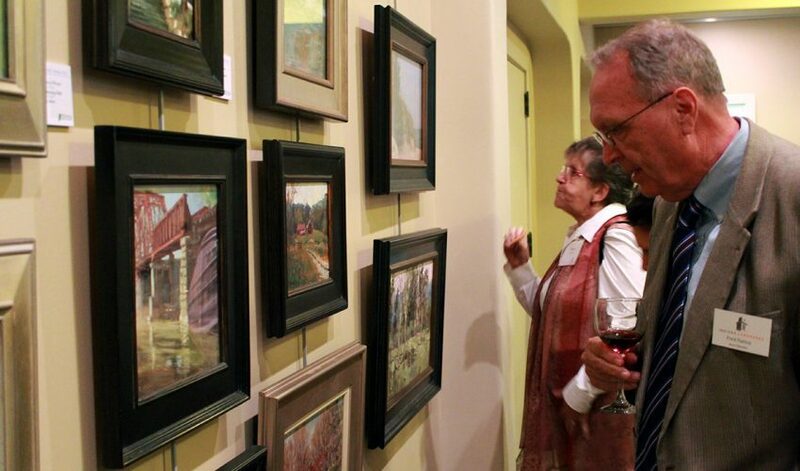 On the first Friday of each month (except January and July), Indiana Landmarks hosts a free art show featuring works by Indiana-based artists, past and present, in the Rapp Family Gallery at Indiana Landmarks Center. 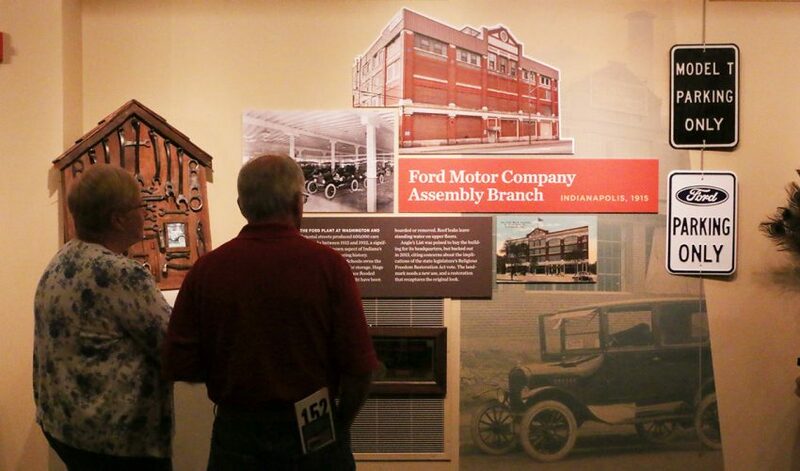 During the First Friday show, guests can also explore the spectacularly restored Indiana Landmarks Center on free guided tours. 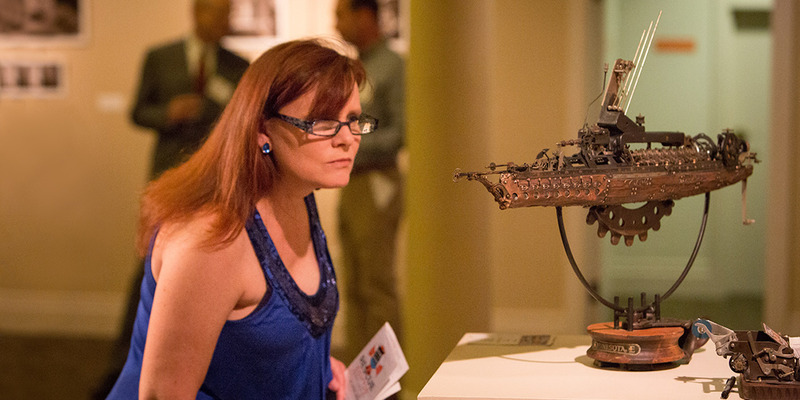 Be sure to check out these upcoming shows in the Rapp Family Gallery.